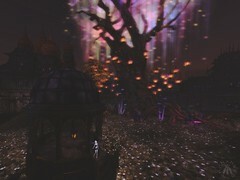 Home » A second life in pictures » Greetings from Astrid’s Nemeton! This entry was posted in A second life in pictures, Fantasy Faire 2018, Gwyneth and tagged !go!, Analog Dog, Astrid's Nemeton, Banana Banshee, Cinnamon, FF 2018, Jinx, Kitori Unplugged, LAQ, lrriven, Lumae, Maitreya, Noble Creations, On a Lark, Rivendale, Water Horse. Bookmark the permalink.